Posted: December 26, 2017 in Sports Racers, Who,What,Where & When...? 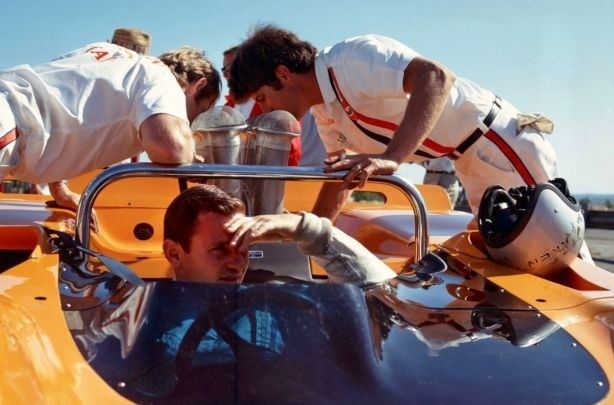 Knutson went on to become one of the ’main men’ during the McLaren ‘Papaya Period’ after doing stints with Traco and Chaparral, but here he is posing with his later business partner and their new car just acquired from Jim Hall. Its amazing how you find stuff such as this wonderful photograph. I was trying to find the correct spelling of Gary’s surname which I always get wrong- off to Google. Click away. Bingo! The trouble is the photo is on ‘The Nostalgia Forum’, the most content rich motorsport website on the planet. I can never deal with a new thread on TNF in less than an hour. Contributions to this thread of TNF include bits by Wally Willmott, Howden Ganley, Jerry Entin and others. 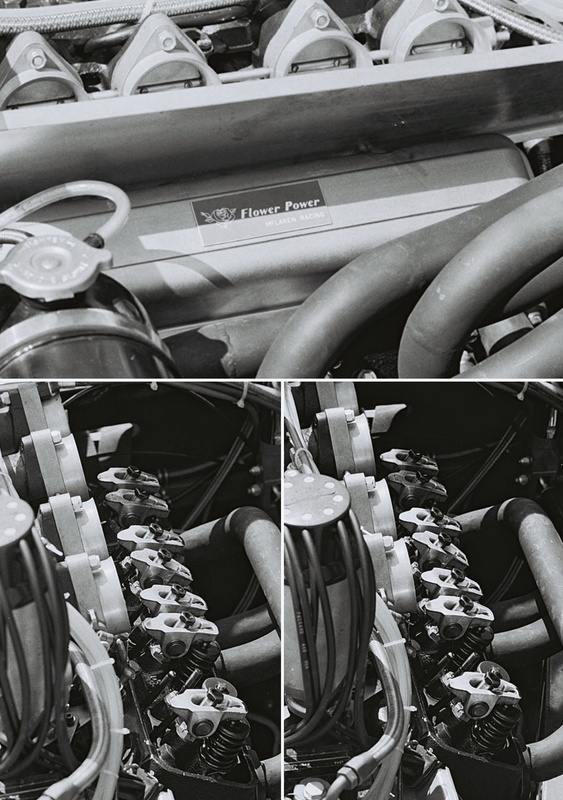 Here are some snippets, its not a comprehensive article about Knutson but a pot-pourri of bits and bobs plus a link to a fantastic, detailed article in Hot Rod magazine on development of the Big Block Chev ZL1 V8- Knutson was up to his armpits in that project of course. The connection to Jim Hall was via Jims brother Chuck who was going to the University of Colorado, at Boulder, as was Knutson. Gary prepared Chuck’s Corvette with which he was third in class at Pikes Peak in 1958. 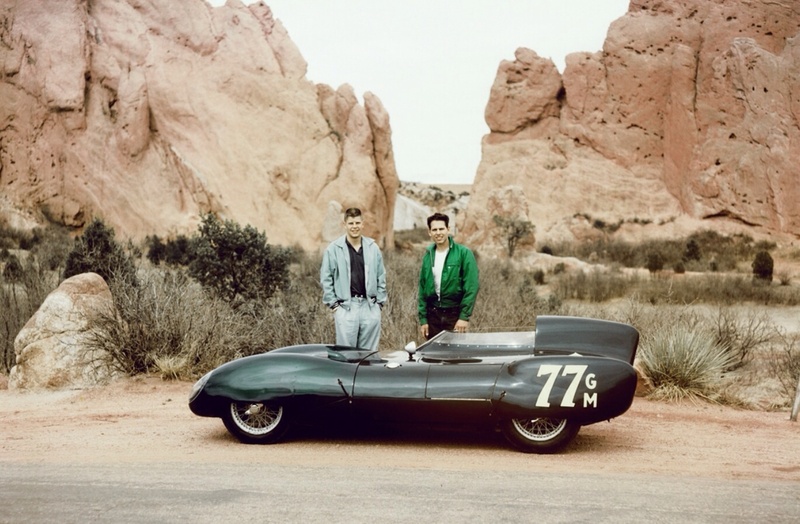 Knutson and Mallett shortly thereafter saw a sportscar race in Phoenix and were hooked- they then approached Jim via Chuck to buy the 1.5 litre Coventry Climax powered Lotus 11 Le Mans Series 2. Knutson, born in 1937 lived in Colorado Springs where his mother was a teacher and father a photographer. His mechanical interest started with Soapbox Derby devices, a Maytag washing machine motor powered trike and Briggs and Stratton lawnmower engines, then ‘Whizzer’ ‘bike engines and soon an Ardun flat-head Ford V8 engine which went into a 1932 ‘5 window’ Ford which was ‘dragged’ and hill-climbed. Gary won a dirt hillclimb event in the car aged 16 at Georgetown. 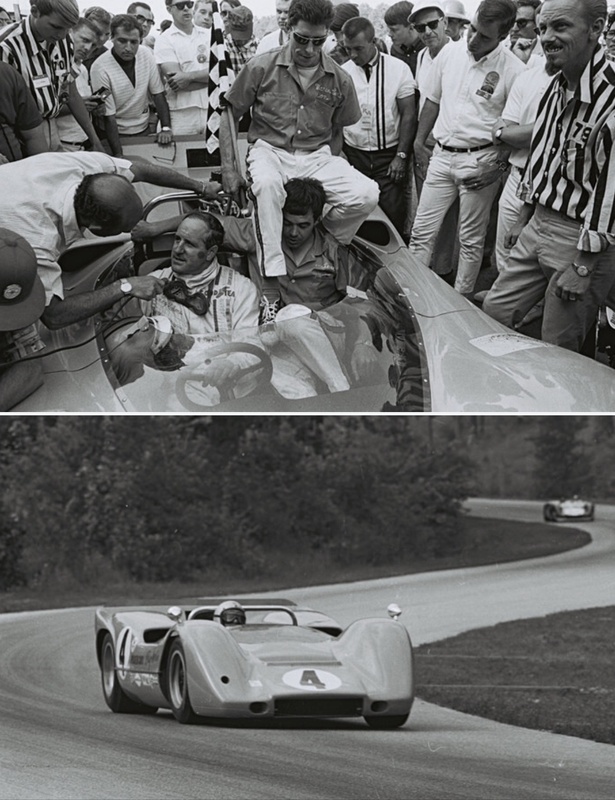 Mallett recalls ‘When we ran the Lotus 11, both of us worked two jobs each to pay for the thing, but we would roll out of Colorado Springs on Friday night at about 7 pm and drive all night to Salt Lake City, Utah, New Mexico or Texas. The first race was in Dallas, Texas and after the all night drive, a shower and a cup of coffee, we really thought we were in the big leagues. Around 8 am a trailer showed up with four Ferraris. It was a long day’. 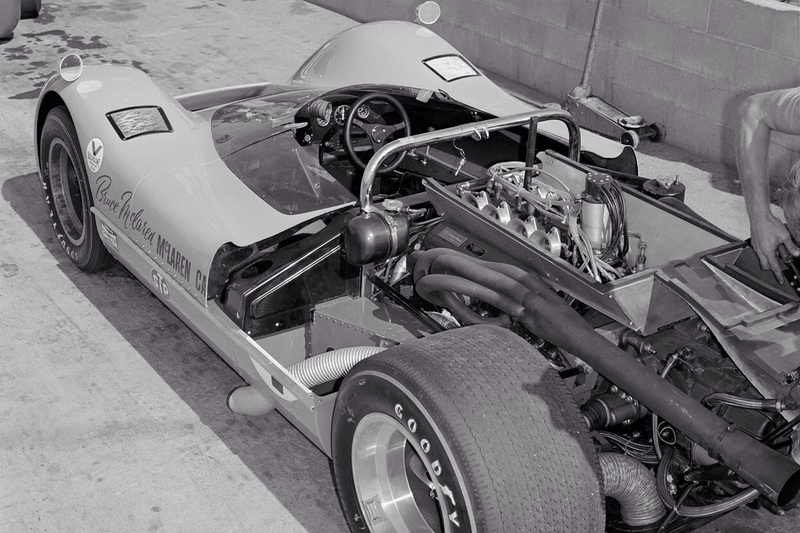 Knutson worked for Chaparral in the early days when the Chap 2 was first built and the team comprised Jim Hall and Hap Sharp, chief mechanic Franz Weis, ace fabricator Troy Rogers, with Gary as the engine man. 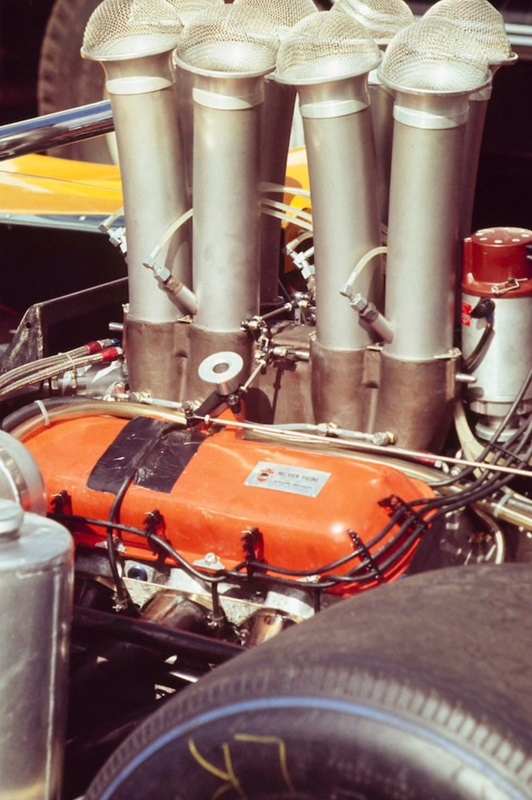 At Traco Engineering before commencing McLaren’s in-house Chevy engine program, he worked on a ‘Who’s Who of all branches of motor racing engines doing 14 hour days with Wally Willmott, with Gary having oversight of the Ford Quad Cam Indy to McLaren F1 engine project. Who’s the author of this piece? Well done! Great to hear from you and glad you liked it- its always a bit tricky doing these things from afar and with publicly available information, I wrote it, Mark Bisset. Would love to pester you at some stage to do a more holistic ‘Life, Times and Recollections’ if I may be so bold. Yours is a story and era that resonates with so many of us across the globe!